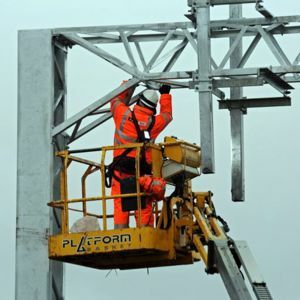 Contractors Morgan Sindall and Costain have been awarded alliancing contracts by Network Rail to deliver the core physical works on the Edinburgh-Glasgow Improvement Programme (EGIP) in a deal worth £250M. EGIP is a Scottish Government funded investment worth £742M in total. This latest deal will see electrification of the main line between Edinburgh and Glasgow by 2016. Piling works to create the foundations needed to erect overhead power lines began this week and will be completed by the summer of 2015. The works package includes route clearance works at Winchburgh Tunnel and rail infrastructure works at Glasgow Queen Street and Edinburgh Waverley stations. Platforms will be extended at Croy, Falkirk High, Polmont and Linlithgow. Electrification from Edinburgh to Glasgow will be complemented by the construction of the new Edinburgh Gateway Interchange station at Gogar and the subsequent redevelopment of Glasgow Queen Street station. Network Rail’s EGIP programme director Rodger Querns said: “EGIP is a unique chance to modernise and enhance our railway and transform rail services across the central belt. It is transformational in its scope and scale and will herald a step change in the nature of our railway infrastructure, its resilience and reliability.